Make bad hair days look good on all furry pets using the rotating pin rake. Iron plated teeth rake through undercoat to lift out dead and matted hair. 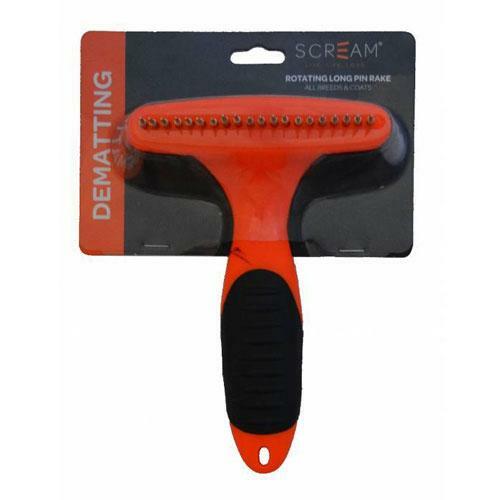 Teeth rotate 360 degrees providing a gentle groom that is easier to remove knots. Ideal for medium-large dogs which have long and thick coats.